With Malice Toward None --------- by Lee Harris: Why is Officer Forte Still Employed? Really. 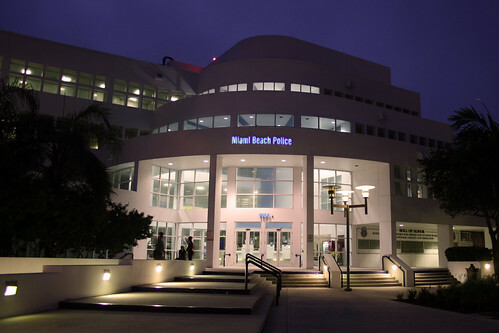 I wanna know why Officer Forte still has a job as a police officer for the Miami Beach Police? He was involved in alleged abuse of a crime suspect and it was witnessed by a guy with a telephone. Sound familiar. Our brave witness called 911 to report what he had seen. After giving the 911 operator an enormous amount of detailed information Officer Forte discovered our hero on the phone and arrested him for trying to break into six cars. Yep. “I saw a guy running and then I saw two, what looked like undercover cops running. And they pushed this guy down on the ground, the one cop did, and the other cop came up as if he was kicking a football … and kicked the guy in the head,'' Strickland, 45, told dispatcher Gloria Hansen during a recorded phone call to 911.